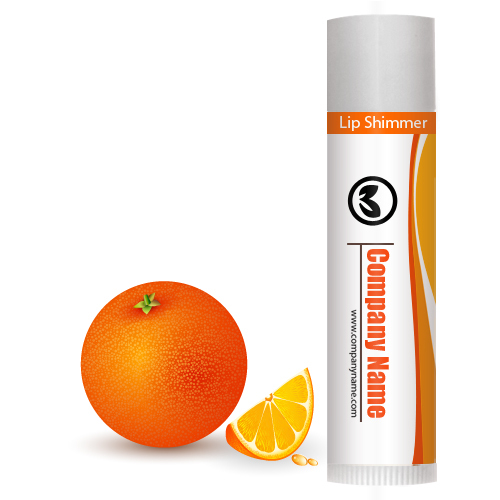 Custom orange lip shimmer w/white tube cap smells like a ripe juicy orange, and repairs chapped, dry and cracked lips. This lip shimmer produces healthy and plumper looking lips and saves it from drying effect of cold, dry winds and scorching heat. It spreads a shiny tint over lips and manipulates an image of healthy and shiny lips. Health Quotient – PABA free. No addictive flavorings, colors and taste enhancers included. Fillers, additives and preservatives avoided. Cruelty-free. Sweetened with saccharin. Debilitating formulates avoided. FDA approved formulation. Directions – Apply orange legacy lip shimmer evenly over irritated lips. Use it regularly to achieve desired results. Gifting Favors – Custom orange legacy lip shimmer w/white makes a great summer gifting choice and it can be handed out during summer weddings, beach fests, beach parties and pool parties, etc. People would be happier to rub it over their puckered lips to avoid pain and feel the citrus high.